Making sure that we provide a quick and efficient service is only worthwhile if we also attend to Health & Safety. 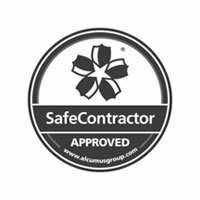 Safety is absolutely paramount to what we do and we take it extremely seriously. To ensure that we have a coherent and viable strategy for Health & Safety, we have several guiding principles that everything refers back to. – To Empower Everyone In The Organisation & Our Contractors To Achieve The Highest Level Of Safety Performance. We adhere to the standards provided by the National Access & Scaffolding Confederation (NASC). You can download their guidance PDF for more information. We’ll carry out rigorous inspections of all scaffolding before leaving your site.